So far the most talked about car this year has to be Honda’s small car Honda Brio. Ever since it came into existence a sedan version of the same has been all over the internet and recently some images have surfaced the internet that clearly show a sedan model of the Brio. The sedan is said to go into production during late 2012 or early 2013 and the launch of the same is again speculated the year 2013. 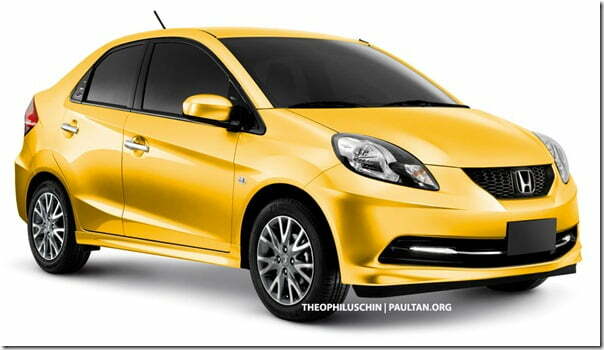 Competition wise, Toyota Etios, Maruti Swift Dzire. Besides a set of images of Brio sedan nothing seem to be available on the internet. 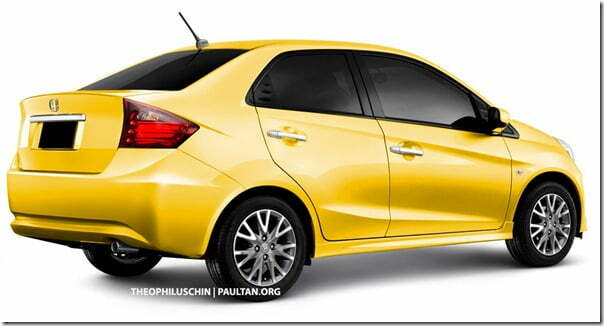 Assumingly the sedan will sport the same engine that gets fitted into Brio hatchback. It is a 1.2 Liter i-Vtec engine producing a maximum power of 90 hp. Apart from the same petrol engine we do expect a CRDI diesel heart during the same year which would definitely give a tremendous boost to the company’s sales in markets like ours. The announcement about a diesel engine from Honda in 2013 has already been made and the year 2013 will bring a lot of goodies for the Indian customers as well as Honda. Another thing would be the cut throat competition that would be injected into the market once diesel powered Honda cars start rolling in.